If you do not have health insurance and some unexpected health hazards comes in fort of you, in that condition, you not only worried about health, but you are probably more worried about medical costs. To avoided such financial disaster buy a health policy. It’s never too late to plan accordingly. If you are looking for online health insurance company, many websites gives you the ability to get instant quotes online. But there is a keen possibility that you are not able to find the best policy at that place. Identify the need - some medical needs can be anticipated for example if you are planning to start a family maternity coverage policy is your need. Or if you have family history of heart disease, you must have to make sure that your coverage includes the cost of cardiac diseases. Don’t overbuy - If you’re young and healthy: Don’t buy too much, Don’t wait too long. Check the network hospitals - It’s necessary to look up in the network doctors and hospitals before buying any mediclaim policy because Cashless Health Insurance Facility available only in network hospitals. Look at the limits - Check the annual benefit limits, time limits and Lifetime limits before buying mediclaim policies online. Pre and post hospitalization expenses - Pre and post hospitalization expenses are applicable for re-imbursement as per the guidelines issued by IRDA. 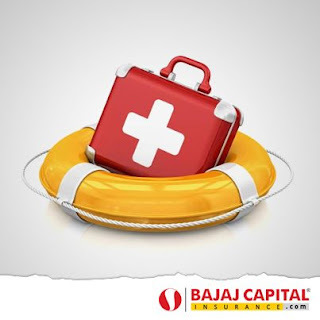 * Cashless Bases: - Insurance Company pays directly to the network hospital for your treatment. * Reimbursement Claim: - Patient can be admitted to any of the hospital, money spends is paid by individual, which can be further compensated by the insurer as per the terms and conditions. Exclusions - you must be aware about the ailments that are covered and those that are not covered by your health insurance policy. There are number of insurance exclusions that may be covered by some companies and may not by others insurance companies. is associated with number of leading insurance companies in India to provide you with the information you need to compare, choose and buy your health insurance.